Desktop virtualization is often pitched as the solution to manageability, compliance and resource problems on corporate desktops. Virtualization can reduce costs by consolidating computing resources into the data center, reducing hardware requirements on the client side, and allowing centralized IT management of desktop images. But if desktop virtualization isn’t done right, the side effects can easily negate the benefits. Side effects may include high WAN bandwidth costs, degradation of the user experience due to competition for network resources, and loss of visibility into application performance. 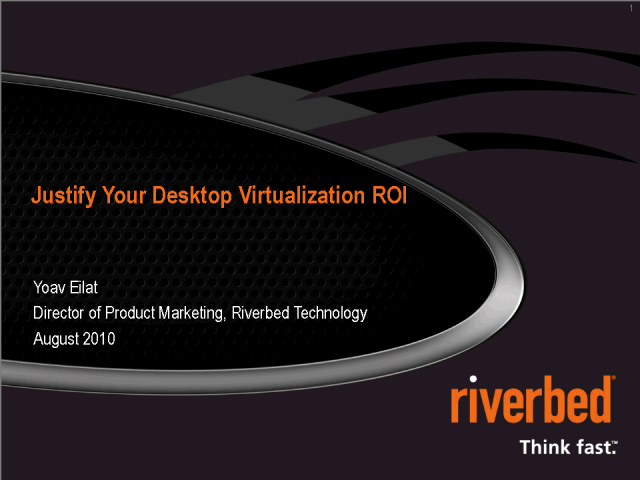 Fortunately, Riverbed has the WAN optimization and visibility solutions you need to make desktop virtualization a reality. Register now for this live webinar. Discover how organizations around the world have become smart about building high-performance virtualized environments.